Always have a good experience-staff is very friendly and service is prompt. Sometimes hard to find an open parking space-this location has a smaller sized lot. Always a great place for a quick meal! 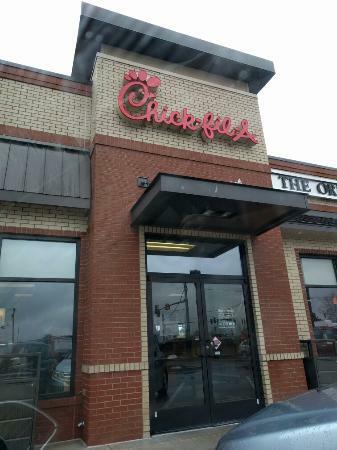 Chick-fil-A is a go-to place for quality food and this location has a great staff that takes care of each customer. Stopped here for dinner with the grandson on the way for a hunting weekend. Food was good as always, but more then that the staff is very friendly and respectful to all patrons. Will return many more times when in the area for shopping. The food is always hot and fresh and this my children's number one choice. The drive thru is always fast and the workers give great customer service.